Well, I suppose it’s safe to scratch off BuzzFeed as a reliable source of insider information on the Washington DC political scene. They now rank right up there with CNN, MSNBC, et. al. : as organs of fake news dedicated to only one thing, saving the Democrat party and its socialist agenda by eliminating the killer virus that is choking them to death, Donald J. Trump. 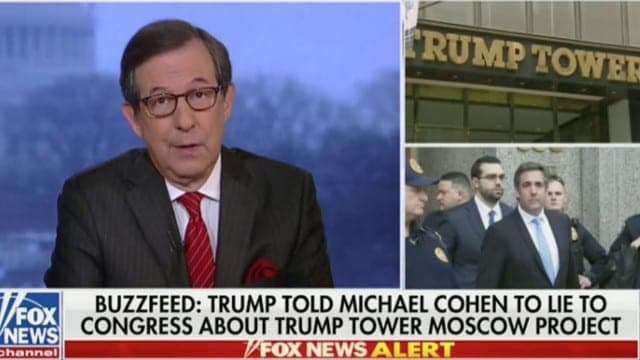 I’m surprised Mueller himself immediately debunked the BuzzFeed story about the President directing his lawyer, Michael Cohen, to lie to Congress and I suspect a rat here somewhere. That caught the Left-wing media totally by surprise. They changed their talking points to “what ifs” and rephrased their words to fool us, they think, into believing there was still a chance to find some tawdry evidence that could finally impeach Trump. That’s the face of desperation. The demented talking heads of the left-wing media will, at any hint of a possible scandal, breathe life into it in the vain hopes that they will expose some measure of truth that will grow into a scandal and end Trump’s presidency. BuzzFeed tried to fulfill that mission and has now elevated itself to the highest level of distrust. By breathlessly publishing this false story without fact checking has rendered it as untrustworthy. For any group that pretends to be an objective reporting organ, to not even bother considering the “Red Flags” that identify fake news, seals the deal on their irrelevance. Now, anything they publish will be suspect! The media is all in on tooting the Democrats horn on policies that ignore Americas Vet’s, it’s taxpayers, it’s producers and citizens of long standing, all for the sake of spending vast amounts of treasure to sustain people who don’t belong here simply because their presence gives them a humanitarian claim to feast at the trough of public assistance. When will the money run out? The anti-Trump media, keen to be first to bring down the President, seems destructively eager to seize upon any and every rumor and regurgitate it out as factual truths. This time BuzzFeed and the regurgitators got their fingers caught in a trap. Even Chris Wallace, on today’s Sunday Fox News, brought up the issue with Vice President Pence, apparently to achieve a “gotcha” comment. If Mueller already debunked the BuzzFeed report, why didn’t the VP just say, “Why are we even talking about that issue Chris? It’s dead!” Well, it’s simply to keep it alive through one more news cycle. 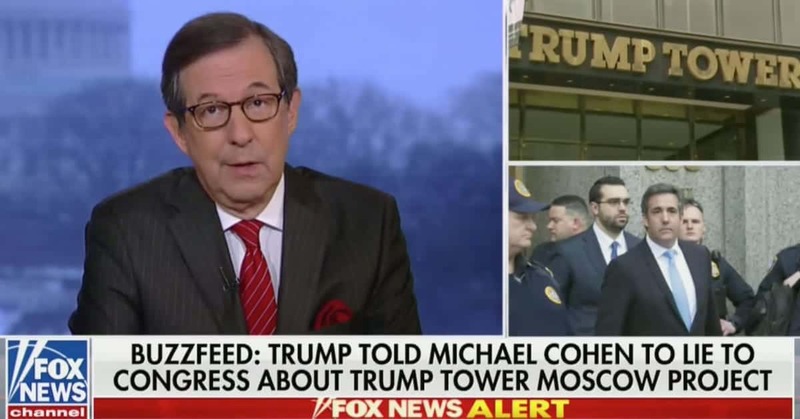 Chris Wallace, to be fair and balanced, just regurgitated leftist nonsense. Chris Wallace did the same as the rest of the pinheads! He exploited a story with out the facts. So much for this fair and balanced mantra!